Many students stop reading for pleasure by middle school. Here are some ways parent volunteers can help counteract that trend. 53 percent of 9-year-olds were daily readers, but only 17 percent of 17-year-olds were. The proportion of children who “never” or “hardly ever” read tripled from 1984 to 2014. A third of 13-year-olds and 45 percent of 17-year-olds said they read for pleasure one to two times a year, if that. Many parents recognize that reading is important and want to help reverse this decline. Middle school parents, in particular, are an untapped resource of classroom support. Many of them were active volunteers in their children’s elementary school and would welcome the opportunity to assist again in the classroom. 1. Communicate peer reading recommendations: Peer book recommendations are among the best ways to get adolescents reading. Twice a year, before winter and summer break, email the class and ask for a parent volunteer to come into the classroom to document student reading recommendations. Each student and the teacher should say one or two things about their favorite young adult book. Students who don’t have any recommendations could suggest a book-based movie like Ready Player One or Wonder. The parent volunteer takes notes, types up the list of recommended books, and sends it out to the class via email. The teacher can post the list in the Google Classroom, and if it’s posted in the physical classroom, students should take pictures of it with their phones—either way, they’ll always have a good book recommendation with them. Schools can assign the reading of three or four free choice books over summer break. Research shows that kids need to be able to choose the books they read. Doing so enables them to explore authentic interests and become confident and enthusiastic readers. In my experience, most parents welcome free choice summer reading assignments. They want their kids to avoid the summer slide and experience the life-enhancing benefits of reading. 2. Facilitate access to books: As elementary students, kids enjoy weekly visits to the school library to check out books. In middle school, library time vanishes—at many middle schools, students visit the library only once or twice a year to take standardized tests on the computers there. Building a robust classroom library where kids can easily borrow books is an effective way to promote reading, and parent volunteers can help stock these libraries. Ask for one or two parents to step up and be your classroom library managers. They can request book donations from the class parents via email, and reach out to parents of older students to ask that they donate a book or two that their kids enjoyed. If your school has a book fair, your parent volunteers can send out a wish list of books, including recent peer recommendations, that can be purchased at the book fair and donated to your class. Teachers can also contact PTO leaders or the PTO library committee and request funds for building a classroom library. If the PTO doesn’t have the budget for books, it can make a request on a crowdfunding site like GoFundMe or DonorsChoose. 3. 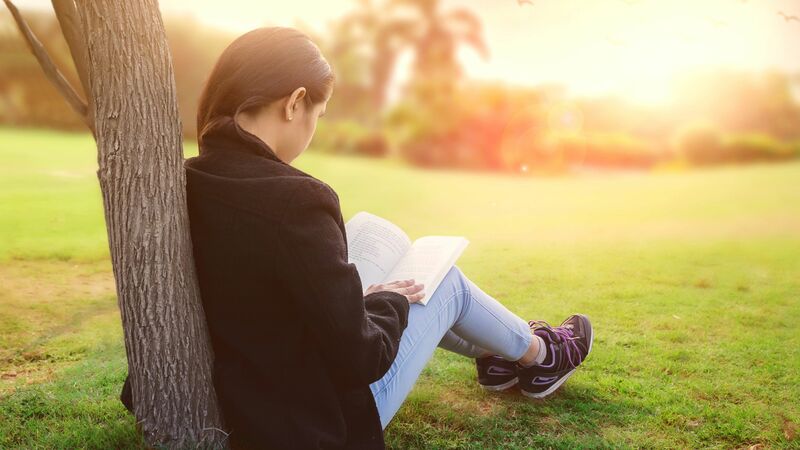 Show them why reading matters: Adolescents often wonder, “Why should I care about reading?” and “What’s in it for me?” PTO-sponsored speakers can address how literacy contributed to their success or helped them through a tough time. PTOs can also sponsor visits from popular YA authors. If your school doesn’t have speaker assemblies due to cost, keep in mind that speaking fees are often negotiable, and such visits can be conducted by video chat, which can reduce the cost. And your PTO can look into state and federal programs such as Title I that contribute funds for author visits and motivational speakers. It’s worth exploring funding for author visits, which can really get kids excited about reading.